BSBI News & Views: Improving your plant ID skills - and grants to help you! Improving your plant ID skills - and grants to help you! If you enjoyed taking part in the BSBI New Year Plant Hunt, if you're a regular contributor to #wildflowerhour every Sunday evening 8-9pm and/ or you made a New Year resolution to sharpen up your plant identification skills this year: you're going to want to check out BSBI Training Grants! Grants went live earlier this month and you can apply for up to £250 from BSBI's Training Team towards the cost of a botany course. The Training page gives details of how to apply for a grant and also has a helpful list of all the providers of short botany courses that we know about. Just click on the links to find out about courses on offer from organisations such as the Field Studies Council, Royal Botanic Gardens Kew, the Species Recovery Trust and the Education Group of the Ashmolean Natural History Society. There are also training workshops planned in Dumfries and Aberdeen this year - details will be posted on the BSBI's Scotland page as soon as they are available. You can also check out some of last year's guest blogposts from grant recipients who shared with us their thoughts on the courses they were able to attend thanks to a BSBI Training Grant. Click here, here, here and here for a few examples. 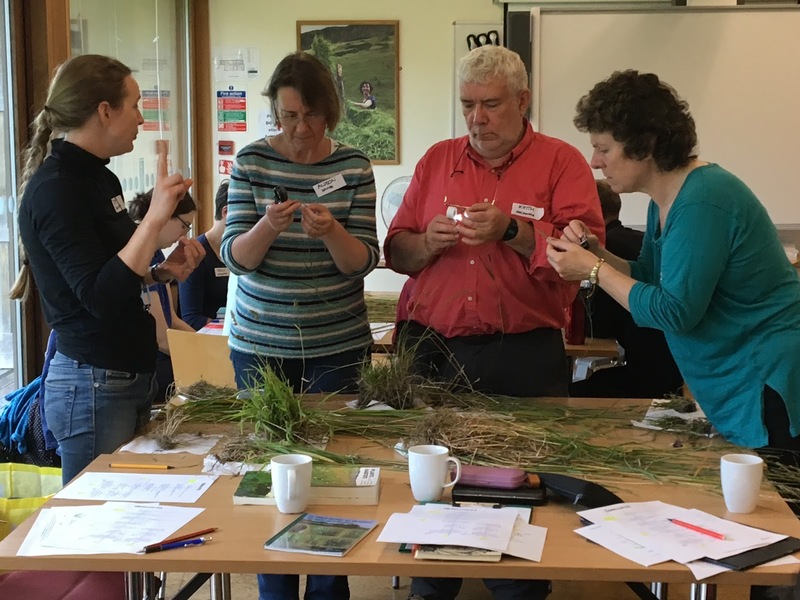 If you'd like to brush up your ID skills but don't quite fancy a training course just yet, how about heading along to a BSBI field meeting with a training theme? Head over to the meetings page to see details of meetings across Britain and Ireland - just scroll down to see what's on offer. We've flagged all the meetings as Training, General, Recording or Specialist to help you decide which would work best for you. If you're in any doubt at all about whether a particular meeting is right for you, just email the organiser before you book, or drop me an email and I'll be able to advise you. And if you can't get to any of the national meetings, why not check out your local botany group and see what they are up to this year? They are a great way to pick up identification tips from botanists in your local area. One of the best things about these national and local meetings is that they are absolutely free so you won't even need to apply for a grant! This obviously doesn't include residential meetings, and there may be the occasional one-day indoor meeting where there is a small cost to cover tea and coffee, or venue hire, but these (very low) costs are made clear on the meetings page. You don't usually need to be a BSBI member to attend one of these local or national meetings - in fact they are a great way to try out what BSBI has to offer and see if it's for you. Whether you're an absolute beginner, a bit rusty at plant ID, or you're already a pretty good botanist who wants to improve in a particular area, why not let BSBI help you sharpen your wild flower ID skills in 2018?